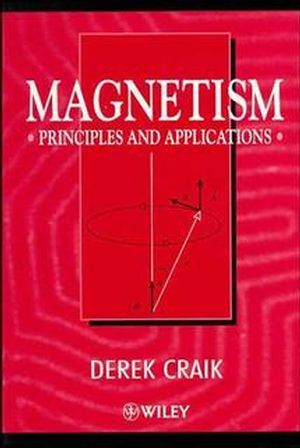 In his new book, Magnetism, Derek Craik throws light on theprinciples and applications of this fascinating subject. Fromformulae for calculating fields to quantum theory, the secrets ofmagnetism are exposed, ensuring that whether you are a chemist orengineer, physicist, medic or materials scientist Magnetism is thebook for our course. Derek J. Craik is the author of Magnetism: Principles and Applications, published by Wiley. Spin and Magnetization, Statics and Dynamics. Magnetostatics, Magnetic Domains and Magnetic Design.